Daytona Beach, Fla. – After all the lead changes, two-car drafts, possible rules changes and everything else that went on at Daytona International Speedway on Thursday, the coolest story turned out to be one of brotherly love; or at least brotherly drafting. 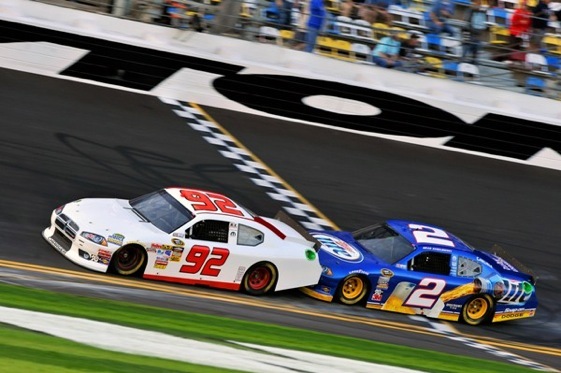 Brad Keselowski pushed his older brother Brian to a fifth-place finish in the second Gatorade 150-mile qualifying duel and got his unheralded brother a coveted starting spot for the Daytona 500. That means Brian Keselowski, whose best previous NASCAR finish was a 10th at Memphis in a Nationwide Series race back in ’07, will make his Sprint Cup debut in NASCAR’s biggest race. Keselowski, who drove a plain-white No. 92 Dodge and wore a plain black firesuit, was overcome with emotion at what he accomplished after starting dead last in the second Gatorade Duel. He thanked Ernie Elliott for help with his engine, and pointed out that his car started out as a 2006 Dodge, built by Ray Evernham’s race team. It came at a fire-sale price, in a package deal that included four other cars and an assortment of parts. “I think it’s the eighth one they ever built,” Keselowski said. “Bought a package of four really old cars originally thinking we were going to make them Nationwide cars. “At the start of last year, I moved down south. If we’re going to go COT racing, Nationwide, we got to be here. So that’s the direction he took, after a 2010 Nationwide effort in which he failed to qualify for five races and finished an average of 34.4 in the ones he did make. The 500 car was put together mostly by Brian Keselowski and his father Bob, with some last-minute assistance from Uncle Ron Keselowski and a couple of volunteers who came to Daytona and bought their own licenses. Brian Keselowski, like the likeable underdog types in any profession, said he wouldn’t have it any other way. “It’s always been a family operation for us,” he said. “It continues to be that way. While I’d like to have a little bit of extra help so I don’t have to do the better part of it myself, I don’t know if I’d want to have it any other way. Keselowski admitted that he’s been somewhat jealous of his younger brother’s success. After all, it was supposed to have been the older son who got the first racing opportunity. But when it was Brian’s time, the family couldn’t afford it. 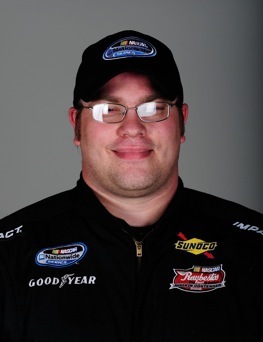 Then when Brian did get a chance to race in Nationwide, he wound up not being eligible to race at Daytona. Brad got the ride, and the rest of his story, as they say, is history. But he didn’t get it. Of course, Brad might not have made it either. One never knows. “What if it wouldn’t have worked?” Brian said. “We’d both be sitting home. It could go either way.